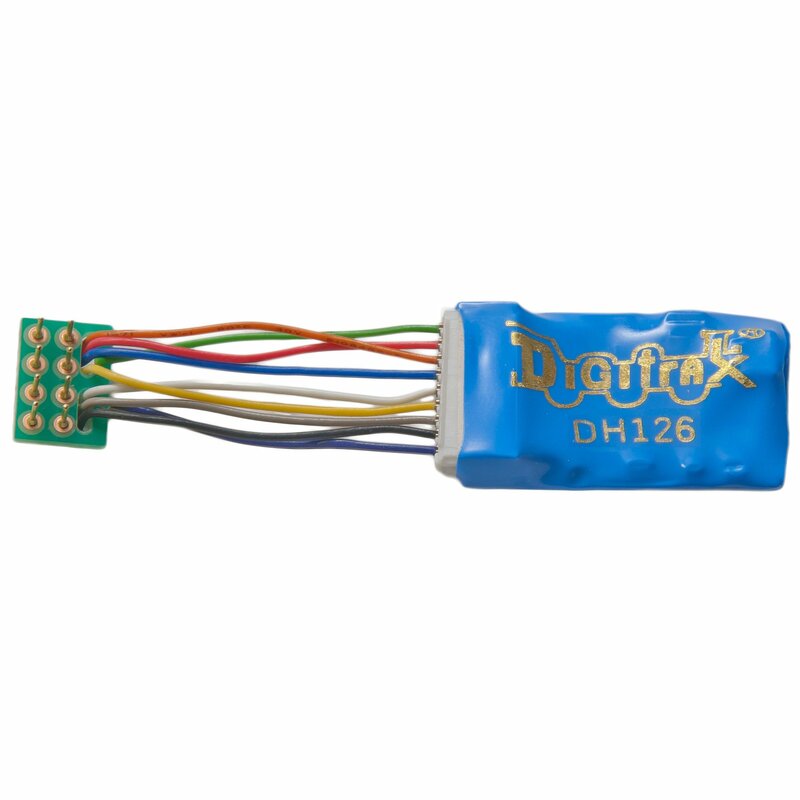 With DCC medium 8 pin plug to Digitrax 9 pin JST type Decoder Plug. Short Harness with 1.2" (30mm) wires. The short harness version is provided for installations where less wire is needed. The locomotive end of the harness allows for use with all locomotives with a DCC medium 8 pin plug socket. 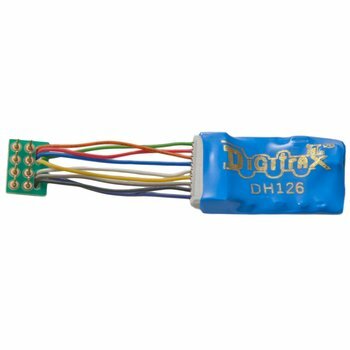 The green wire is not attached to the DCC medium plug but is available for use as an additional wired function lead.